Many auto lenders are missing the biggest opportunity for growth in auto financing: Millennial buyers. That’s because lenders are using Loan Origination Systems (LOS), customer acquisition techniques and clumsy stipulation/consent processes. These mistakes are causing lenders to miss out on the enormous, and growing loan potential. Millennials are responsible for over 28% of all retail vehicle sales. About 24% of millennials say they will buy a car sometime during the next 12 months. By 2020, millennials will have a buying power totaling more than $31 trillion. Not catering lending processes to this demographic is forcing many auto financers to fight over a shrinking ‘traditional’ lending pie. A lack of insight into the millennial lifestyle and mentality is the root cause of this disconnect between enormous potential and disappointing reality. Millennials really like cars. In fact, they are taking out auto loans at a 21% higher rate than Gen X consumers did at the same age. But while millennials’ auto origination rates are higher than Gen Xers’, the percentage of the former’s population that has a loan or lease is actually 5% lower. 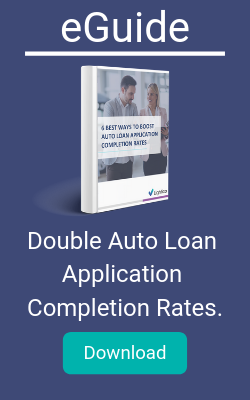 This gap between their desire for loans, and their loan completion rates is costing auto lenders. On the go millenials have come to rely on tools that provide intuitive, fast, online solutions for all stages of the car financing process. Millennials research financing options online at higher rates than the general population. Millennials are also more willing than older generations to share their personal data with in order to receive more personalized service. But even though this group expects easy online access in order to make decisions about auto loans, only 35% of car dealers offer online sales and financing options on their websites. Millennials appreciate personal exchanges with customer service agents that easily fit into their daily lives and habits. This group is generally more comfortable with instant messaging, texting, email and other instantaneous forms of digital communication. One study found that 68% of millennials text heavily on a daily basis, much higher than 47% of their Gen X counterparts. Survey results show that 89% of millennials are willing to pay more for a vehicle that comes equipped with the latest convenience and software. With auto financing becoming increasingly commoditized, millennials’ focus on gadget-driven efficiency confirms that relationships and ease of doing business – not price – are now the two main drivers for people’s selection of a loan provider. Millennials thrive on interaction and have come to expect nothing less than constant communication and collaboration. As a result, millennials respond well to software and technologies that allow agents and customers to work together in real time. But, the auto financing isn’t changing its lending processes to better accommodate how millennials interact with their favorite products and services. According to Gallup, only 25% of millennial consumers are fully engaged in their purchase process. In fact, this group has the lowest overall customer engagement score of any generation. To accelerate loan origination for Millenials, they need guided application solutions. Nearly 47% of millennials plan on using auto and personal loans instead of credit cards. This generational aversion to traditional credit cards is part of the reason that 39% of auto finance applications are filled out by millennials. However, millennials also have the lowest completion rates across all generations studied. This gap between millennials’ desire to purchase vehicles and lenders’ inability to close indicates a breakdown in the customer journey that’s causing young, impatient consumers to abandon the car loan application process en masse. Millennials access mobile financing nearly three times more than other generations. Over a 30-day period, this same study found that millennials accessed their financial organization via their cell phone 8.5 times on average, versus 3.1 times for non-millennials. Not surprisingly, 27% of millennials have never visited a brick-and-mortar bank branch and only 14% prefer to conduct banking activities in person. There are 80 million millennial adults in the United States, the largest single segment of the population. Yet auto financing seems uncertain about how to adapt to the demands of this massive purchasing group. As a result, these potential car-buying consumers are staying away. But lenders who develop processes that are tailored to millennials’ behavior patterns and purchasing habits will reap the rewards of increased close rates and a greatly expanded customer base. Will you be at AFSA Vehicle Finance Conference & Expo in San Francisco? The conference will focus on key industry trends, compliance and regulatory activities as well as industry best practices. Learn about Lightico and the latest technology that is enabling Auto lenders to complete more loan applications in record time. Book your meeting today, here.